Nespresso Hot Chocolate has been something that we have all but dreamed about, why they haven’t done one yet is beyond me. 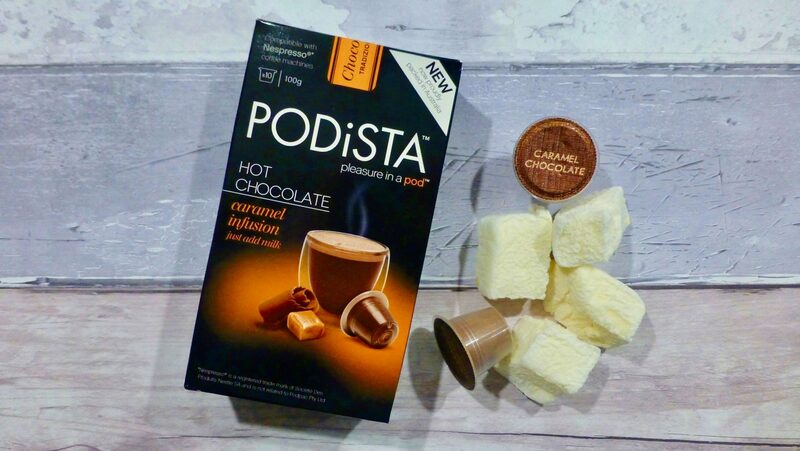 Nonetheless we finally have Nespresso compatible pods thanks to Mugpods in the form of their Podista range and more specifically, today’s review of the Podista Caramel Hot Chocolate. Picking just one flavour was pretty tricky, there are six varieties on offer which range from the classic chocolate, to mint, hazelnut and of course caramel. Each box comes consists of 10 pods and costs £2.95. 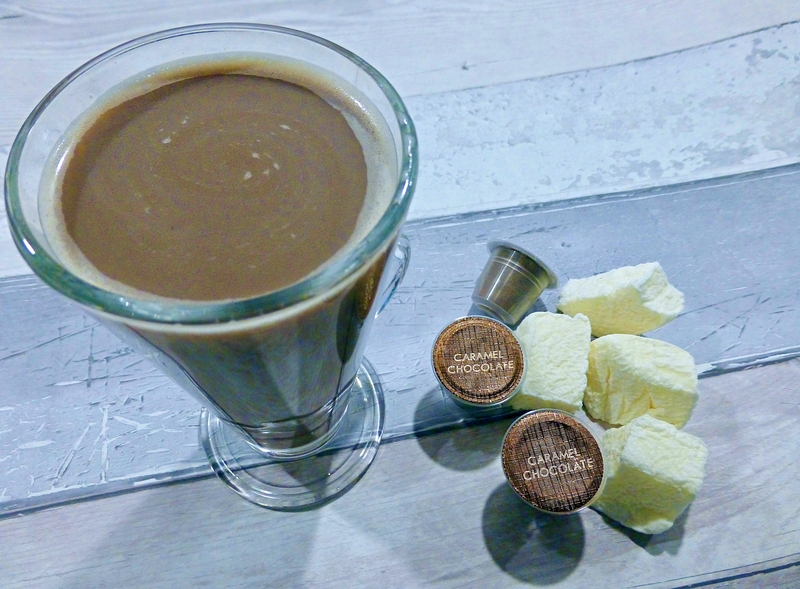 To prep and make your hot chocolate it is suggested that you pre-flush for 3 seconds, pop a pod in and go for the lungo function, and then top with 100ml of milk. Couldn’t be simpler. The initial aroma made me want to dive right in and I was willing the Aeroccino to hurry the heck up. Built up with anticipation, in I went. And that’s when it all fizzled out and wishy washy was all I could think of. The sweet caramel flavour was there but the chocolatey base was just a whole lot of ‘meh’. You know when you order a hot chocoalte you want intense, rich chocolate that really hits the spot, well this one just missed the mark. In a bid to intensify things I even doubled up the pods as it suggested and even then it wasn’t quite right. Sadly despite my excitement for these little Podista Caramel Hot Chocolate pods, I cannot hide my disappointment. Keep your eyes on the blog as I also have the Mint version to try, fingers crossed for better things. Next Post Milka Chips Ahoy!